This assertion has been cleared by a director at the estaurant who said that the outlet caters to only gentlemen, rather than to everyone. 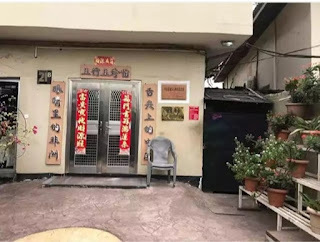 The PUNCH had done a story based on a social media post that claimed that the Shi Shi Chinese Restaurant located on 21B, Emina Crescent, Off Toyin Street, Ikeja, Lagos, does not admit Nigerians. Our Correspondent who visited the restaurant on Tuesday morning reported that he was accosted at the gate by a security guard wearing Army combat camouflage and prevented him from entering the restaurant. The Nigerian security man told our Correspondent that he acted on instructions. However, our Correspondent later introduced himself, and left his business card for the restaurant’s spokesperson when he was told that nobody was available to speak with him. He did claim, however, that the Shi Shi Chinese Restaurant was open to the public. Our Correspondent maintained that he was not allowed to step into the restaurant, as he was turned back at the entrance to the premises. He added that he had only heard of two sections from Mr. Adegbite.